I was really looking forward to reading this novel. I had some things to get done, so I thought I would just read a few pages and come back to it. But once I picked it up, I didn’t want to put it down, and before I knew it, I was finishing the last page and closing the book. The book begins as twenty-six-year-old Anna Roux is moving into Bedroom 5 at 17 Swann Street. Anna is originally from France. She is a dancer but hasn’t danced since she hurt her leg. When her husband, Matthias receives a job offer to work in the United States, Anna decides it’s a good thing. Her leg will heal and she will dance in the U.S. But after the move, things started to change. Anna used to love roller coasters, ice cream, and french fries. Will Anna recover? Will her marriage survive? I was engrossed in Anna’s story but I was also intrigued by the other characters stories and what led them to 17 Swann Street. Many of the other patients are also living with anorexia, but some suffer from other disorders such as bulimia “less evident but just as lethal as anorexia”. I’ve read quite a few books about teens and eating disorders. But this novel was a little different. Anna is twenty-six and 17 Swann Street is a women’s treatment center. I felt the author did an excellent job of showing how someone could suffer from these issues for many years but in some cases, the disorders may show up later. I love the way the story is written. It is told from Anna’s perspective with alternating chapters telling the story of her life, her relationship with her husband, and how she ended up at 17 Swann Street. Clinic intake and assessment forms, treatment plans, and meal plans are interspersed throughout the novel. 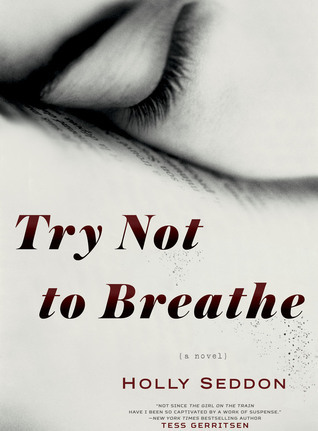 This was a well-written novel that gave a realistic and heartbreaking look at an illness that robs its victims and their loved ones of so much. So often family and friends suffer along with the patient. This novel was emotional and enlightening, and the story brought me to tears on more than one occasion. 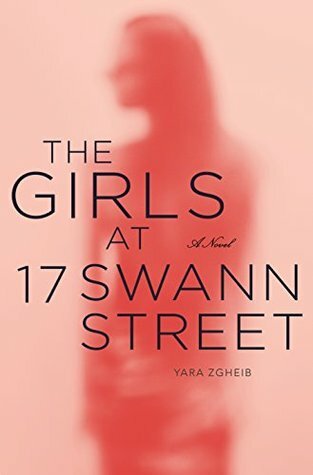 I really enjoyed this novel and I’m looking forward to reading more from Yara Zgheib. I’d like to thank St. Martin’s Press for giving me the opportunity to read this book in exchange for my honest review. Well it’s another 80’s song. Are you surprised? Probably not. I can’t seem to help it. I keep hearing these old songs and it takes me back and I just have to share. “Sunrise Highway” opens in 2017 with the investigation of a body that recently washed up on the shores of Rockaway Beach. Investigating is Lourdes Robles, a detective for the NYPD. Lourdes is an excellent detective who was recently promoted. However, she’s also being accused of using NYPD resources for personal reasons. Lourdes younger sister, Ysabel is missing. Anytime a young woman’s body is found, Lourdes can’t relax until she confirms that it’s not her sister. There are some unusual things about this present murder case and when Lourdes finds a link to a murder case from forty years earlier, she’s determined to bring the person/persons responsible to justice. Forty years earlier, Kenny Makris is a local prosecutor attending a crime scene where a fifteen-year-old girl’s body has been found. Kenny meets up with Detective William Rattigan known as “Billy the Kid”. The detective has a high success rate when it comes to solving homicides. But some there are some people that question his methods. The detective’s other nickname is “The Prince of Pain”. The detective tells Kenny that this case could make his career. He says that Kenny is either with them or against them. But he’s pleased when Kenny agrees that they should do whatever it takes to make sure someone pays for this crime. They have someone in custody that they say is responsible for the young girl’s death. They also have a witness named Joseph Toliver (Joey T) who can help make their case. Forty years later Joey T is now JT the Chief of Police. Is it possible that his actions long ago enabled a killer to go free? Did it lead to more than a dozen dead women all found along the Sunrise Highway? Now Lourdes is determined to find out just how everything is connected. Unfortunately, there are people who don’t want the truth to come out, people who will stop at nothing to keep Lourdes from investigating further. This was my first read from Peter Blauner. When I started reading this novel, I didn’t realize it was the second book in the Lourdes Robles series. While I don’t think it’s necessary to read book one, it may have filled in a few blanks if I had read it. This novel started strong with a prologue that grabbed my attention immediately. I was intrigued. The timeline shifts between past and present and there’s a lot going on. I did have a bit of a hard time, in the beginning, keeping all the characters straight, but it did get easier as I continued on. The characters were well developed and I especially liked Lourdes Robles. She is a great character and I look forward to reading more about her in future books. 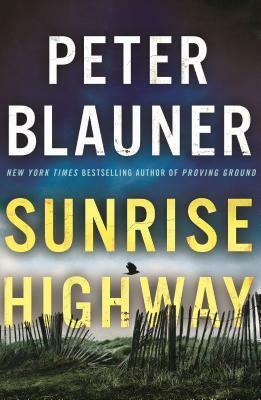 “Sunrise Highway” was an interesting and intense read with a good plot and great characters. A story of murder, politics, and corruption with an ending that I never saw coming. I’m looking forward to reading the next book in this series as well as other books from this author. I’d like to thank Minotaur Books for giving me the opportunity to read this book in exchange for my honest review.